Tamiya TA07 pro Carpet set up. Sorry for the lack of articles, lots of Tamiya goodness in the pipeline. 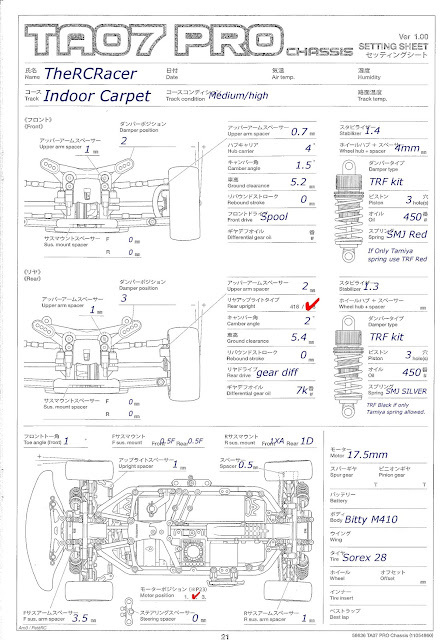 However I have been asked for my TA07 carpet set-up. So here it is. I find the car runs nice and neutral with these settings. I find this motor position gives a good balance of grip and steering.